New DCC Zines, Appendix N Essays, and Cons in Atlanta and the UK! CONS IN ATLANTA AND THE UK! Con season is about to hit us full on! 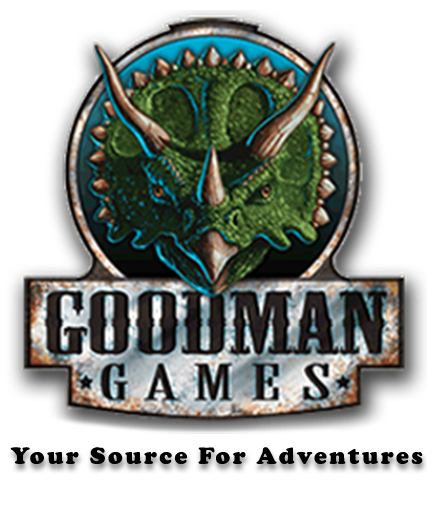 In the next few weeks you'll be seeing Goodman Games showing up at a half-dozen shows! And it starts this weekend in Atlanta at Momocon, and then goes right over to England. Plus we've got new product, Adventures in Fiction, and much more! Let's get to it! NEW JUDGES SCREEN, TALES FROM THE MAGICIANS SKULL PDF, AND MUCH MORE! We've decided to redesign our Judge's Screen, we've released our first fiction book in PDF form, and a wealth of third party product dominate the newest releases. We didn't just change the art. The new Dungeon Crawl Classics Judge's Screen Third Printing adds a whole new view for your game. We added new player-oriented tables to their side of the screen to help them out during the game! Oh, and there is some spectacular art by Doug Kovacs to look at as well. All-in-all, this is a screen worth standing behind. Or sitting in front of, for that matter. 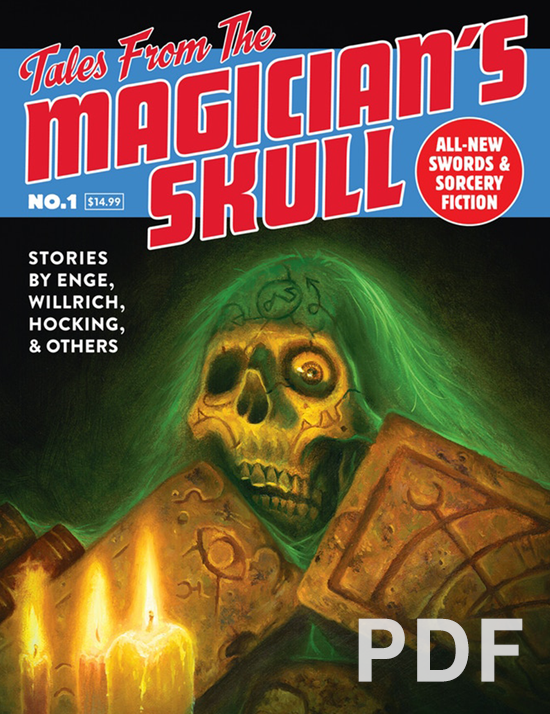 The first issue of Tales From the Magician's Skull is now available as a PDF in our Online Store ! You can get all of the material from the first issue in a convenient, electronic format. Each story is lovingly illustrated by industry stalwarts, and issue #1 features art by Jennell Jaquays, Doug Kovacs, Willam McAusland, Brad McDevitt, Ian Miller, Russ Nicholson, and Stefan Poag. 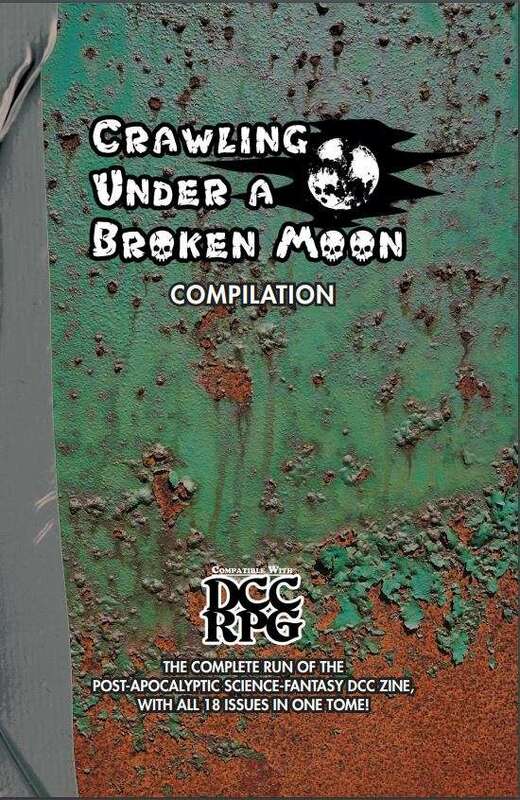 Contained within this mighty tome is all 18 issues of the Crawling Under a Broken Moon zine. 15 new PC classes - Aetherian Hero, Battle Chanter, Clownight, Cro-Mentalist, Cyborg, Feral Urchin, Gray, Hologram, Hybird, Mutant, Petrol Head, Robo-Priest, Sky-Sneak, Sorceraptor, & Technologist. Over 500 pages of Umerican post-apocalyptic goodness unaltered from their original publication! 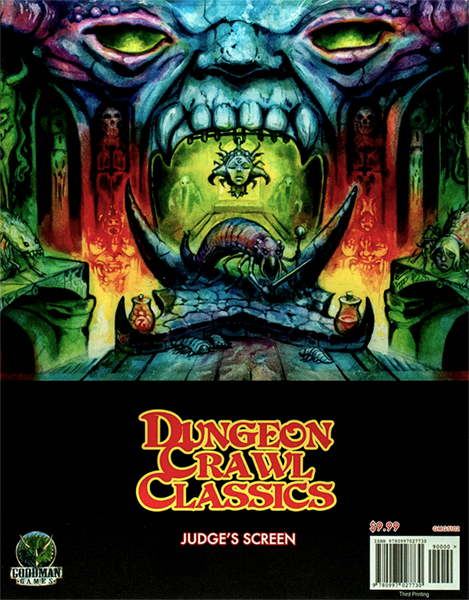 Things are going wild in the world of Dungeon Crawl Classics . Very wild. 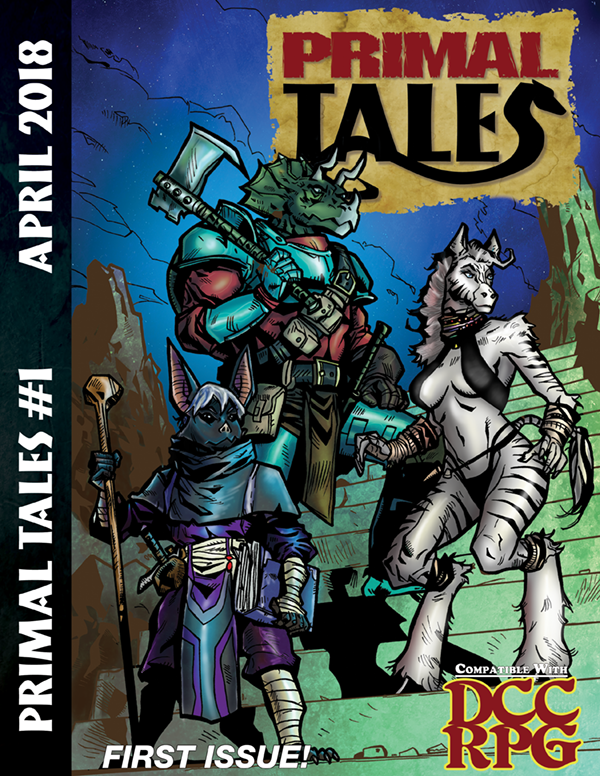 Pandahead Publishing, the people who originally published Xcrawl , are now teaming once more with Goodman Games to produce the new source-series, Primal Tales . This new series is designed to give players and Judges a way to incorporate anthropomorphic characters into their Dungeon Crawl Classics campaign. 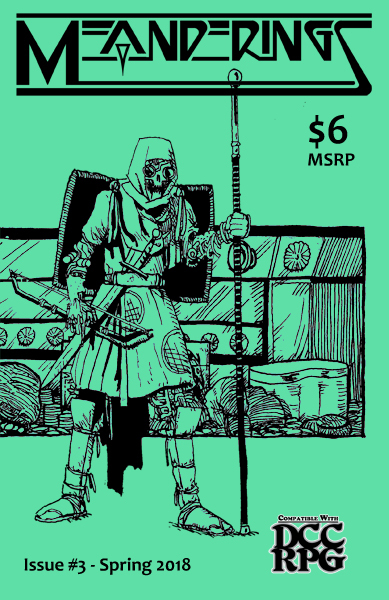 Featuring more DCC RPG compatible material. Magic weapons, Bioracana grafts, Paperminis, new uses for luck, and The Graft Class. This issue features a review of Mike Evan's Hubris campaign setting. A Treatise on the tools of the trade for Thieves. New Weapon styles: Cloak & Blade as well as Sword & Scabbard. House rules for Clerics, as well as new uses for Luck, using Luck Defensively. Three new magic weapons to rival Wave, Whelm, and Black Razor. Crowd Surfing, using the senses to bring a city alive. A 0-level funnel adventure, new patron, spells, and more! It was a fairly pleasant trip until the storm hit. Your ship sank, and now you and the other survivors--peasants, pilgrims, and gongfarmers--are stuck on this jagged spire in the middle of the ocean. The storm rages all around you while monsters crawl out of the sea. It looks like the only way off this rock is down through that weird door. Who will live and who will die in this 0-level funnel adventure? 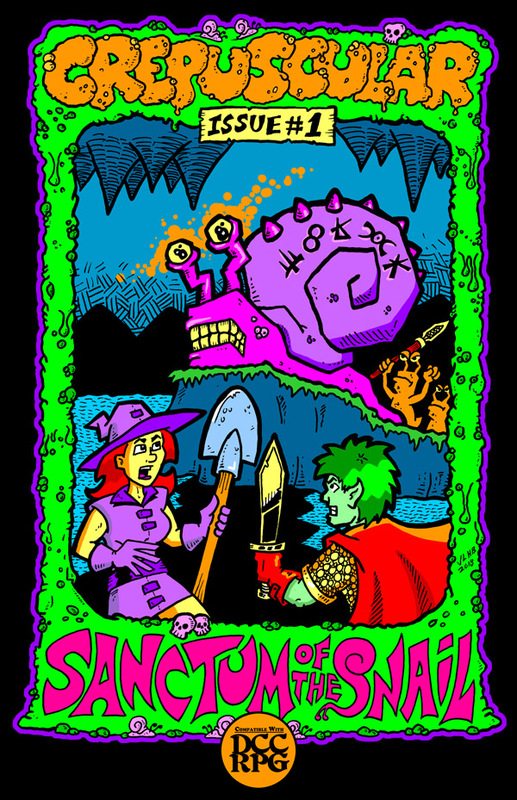 Blorgamorg, the Chthonic Snail: a new patron, complete with spells! The adventures of Moonblossom & Chance! 30 NPC henchmen for hire! Don't forget that Goodman Games is having a huge sale on our 3E products on RPGNow ! We have adventures, sourcebooks, boxed sets, and more! 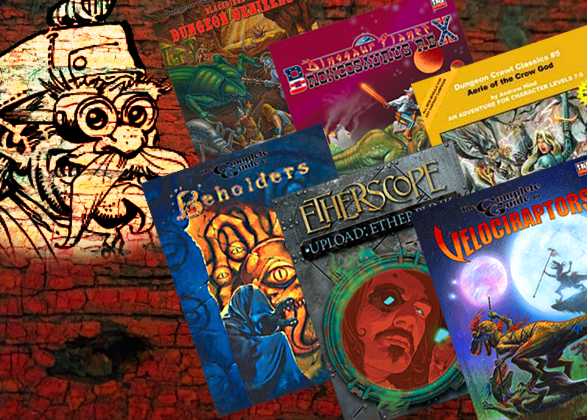 We’re talking about things like our old 3E Dungeon Crawl Classic adventures, our Complete Guides , Etherscope , DragonMech , Broncosaurus Rex , and more! It doesn't last much longer, so don't delay! 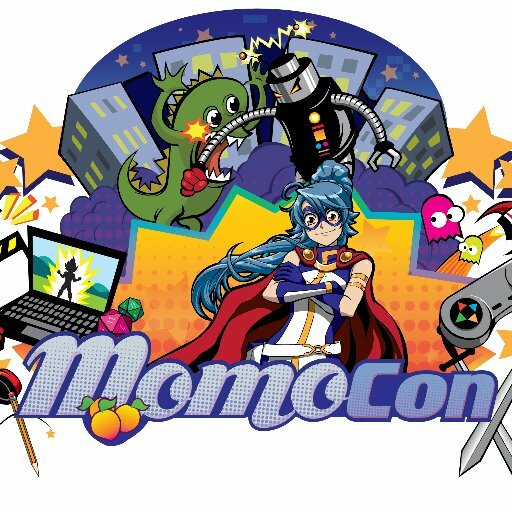 For the second year in a row, Goodman Games will be at Momocon! 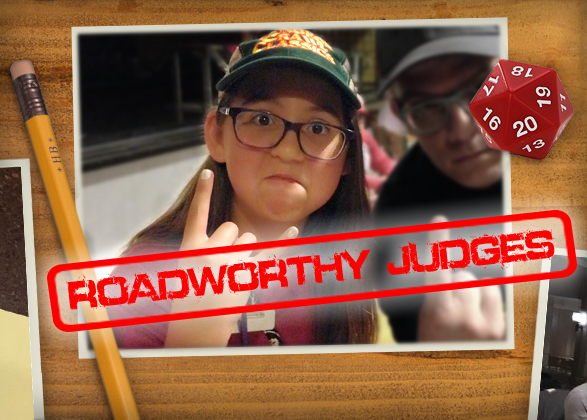 This weekend--May 24th to 27th--the largest anime convention in the southeast welcomes us to their gaming lineup, with Judge Brendan on hand to run folks through Dungeon Crawl Classics and Xcrawl Classics adventures! Plus, we'll be in the dealer's room with a booth full of goodies, and a couple of possible surprises on hand for those who stop by! And if you are on the north side of Metro Atlanta, be sure to stop by The Final Dungeon in Woodstock, GA on Wednesday, May 23rd where Judge Brendan will be running DCC starting at 5:00pm! RETAILERS! 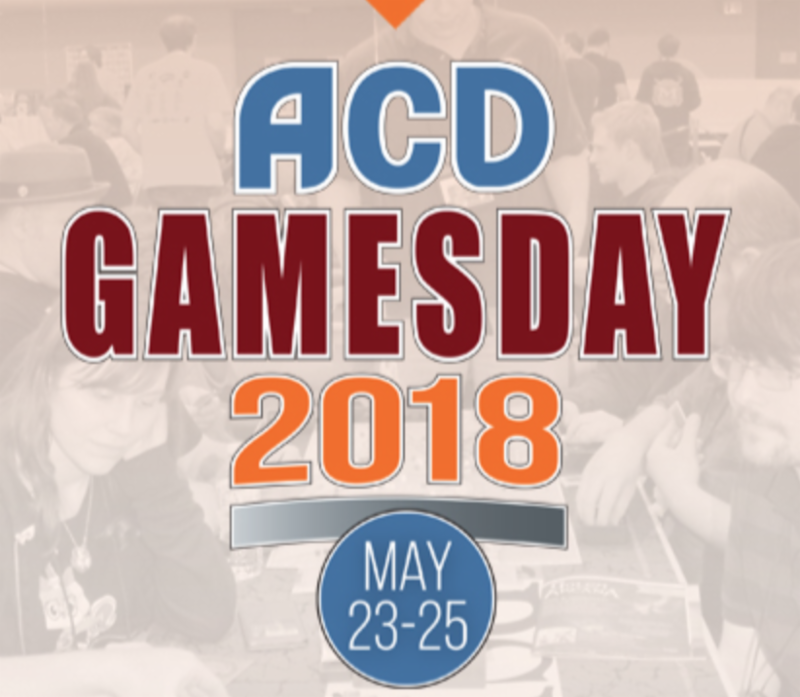 GOODMAN GAMES WILL BE AT ACD GAMES DAY! One of the premiere retailer-oriented events happens this week, and Goodman Games will be on hand. Retailers in the Madison, WI area can stop by to visit Goodman Games at our booth, speak to representatives, and even playtest a game or two! ATTENTION UK: JUDGE BRENDAN IS COMING TO UK GAMES EXPO! Goodman Games is going to the U.K.! 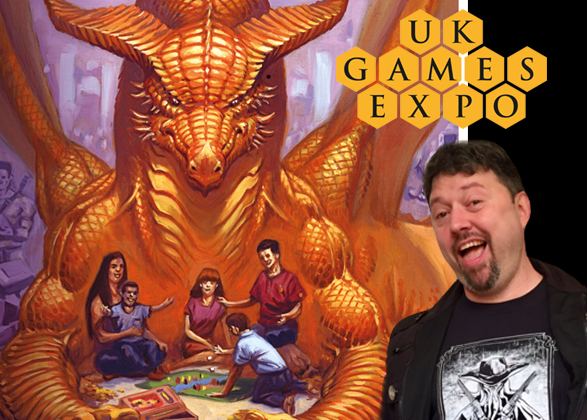 Specifically, Judge Brendan is heading over to the UK Games Expo , where he will be running games and meeting fans for three days of fun from June 1st - 3rd. This is the 12th year of the Expo, and Goodman Games first official visit to a European show! We are very excited to meet our fans in the UK, and Judge Brendan is already chomping at the bit to make his way to the show. He'll be running both Dungeon Crawl Classics and Xcrawl Classics at the show, and wowing fans with his unique charm. 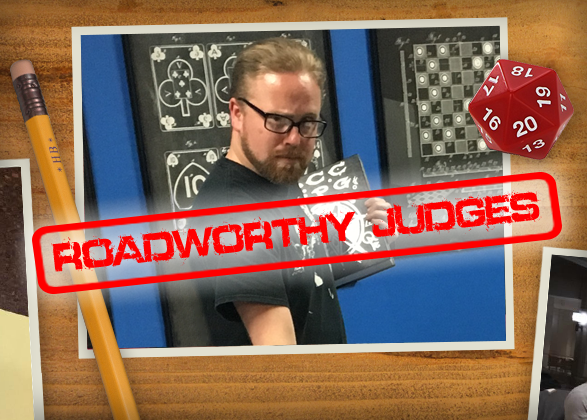 Over 30,000 people annually show up at the UK Games Expo, but they haven't seen anything like Judge Brendan. ANNOUNCING THE GERMAN EDITION OF DCC! We have previously announced authorized translations into Spanish and Portuguese. 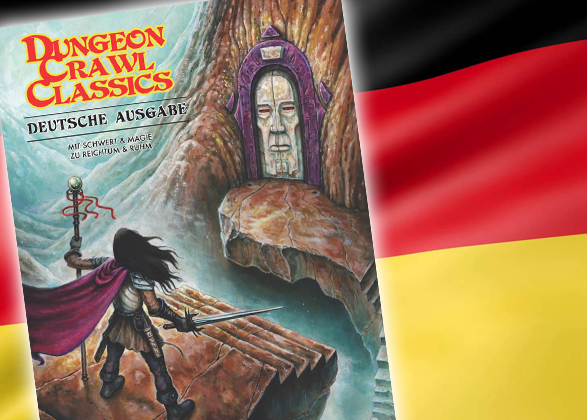 We’re very excited to report that at The Role Playing Convention in Cologne, Germany, this past weekend, German Publisher System Matters Verlag announced our agreement to publish Dungeon Crawl Classics in German! 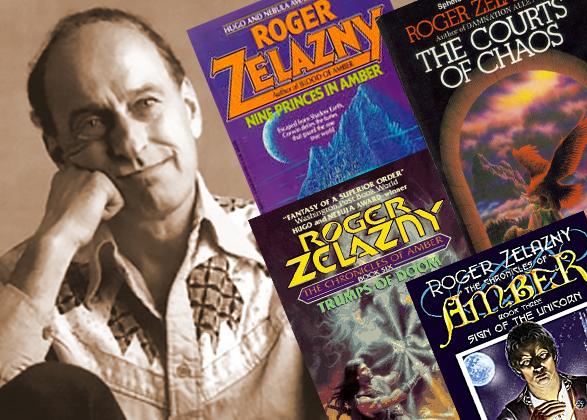 By virtue of his unusual last name, Roger Zelazny is last in Appendix N. This author wonders: “How many readers have never gotten all the way down the list, leaving Zelazny a mystery?” And so, around the anniversary of his birth, let’s take a look at this three-time Nebula Award winner (nominated 14 times), six-time Hugo Award winner (coincidentally, also 14 nominations) and “last-but-by- no - means -least” author, focusing on his best-known work: The Chronicles of Amber . Today is the birthday of Gardner F. Fox. Most people know him as the legendary and prolific writer for DC Comics who created the Justice Society of America as well as many of the most iconic DC Comics characters including Doctor Fate, the Flash, Hawkman, and Sandman. He also wrote many of the earliest Batman stories and was the first to introduce the Batarang . His contribution to the world of comics is well documented and uncontested. 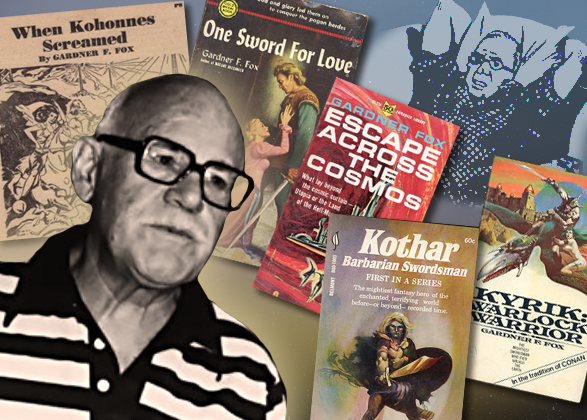 Science fiction and fantasy author Fred Saberhagen was born in Chicago, Illinois on May 18, 1930. Beginning his professional writing career at age 30 with a short story published in a 1961 issue of Galaxy Magazine , Saberhagen went on to become best known for his works featuring the characters Dracula and Sherlock Holmes. Fantasy role playing enthusiasts of a certain age are probably much more familiar with Saberhagen’s second-most popular work, The Swords Trilogy, which began being published in 1983, just as the Dungeons & Dragons craze was hitting its peak. Saberhagen followed that up with a subsequent sequel series, The Book of Lost Swords , which totaled eight additional books in all. Manly Wade Wellman arrived in this world on May 21st, 1903, born literally an ocean away from the place he’d be forever associated with in his later life. Young Manly’s playground was the land of Portuguese West Africa (now Angola), where his father was stationed as a medical officer. It was undoubtedly here, in a land far removed from the staid world of 20th century America, that the seeds of Manly’s imagination found their first fertile ground. 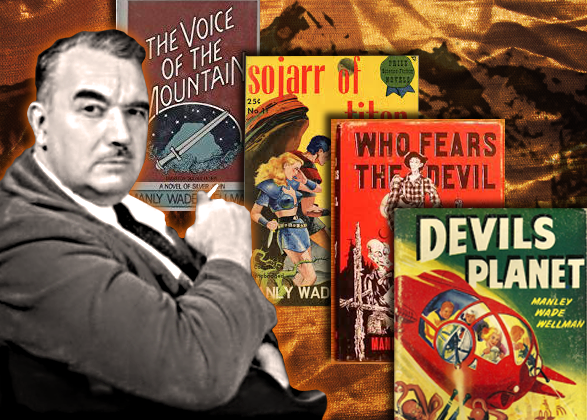 Wellman would grow to become an accomplished writer, penning stories in the genres of science fiction, fantasy, occult detective stories, prehistoric adventure, and horror during a career lasting almost 75 years. Robert Eugene Bledsaw, or “Bob” to those who knew him, was born on May 18, 1942. 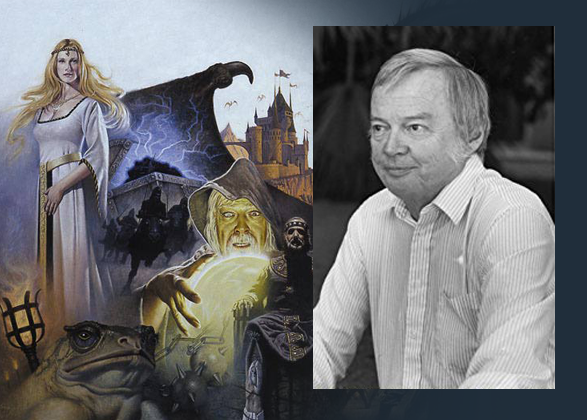 In 1976 he and Bill Owen founded Judges Guild. Bob passed away on April 19, 2008. Judges Guild was the first company to publish a D&D adventure module, and was hugely influential on the evolution of fantasy role playing games. Goodman Games has collected some of Bob’s work in our Judges Guild Deluxe Collector’s Edition . 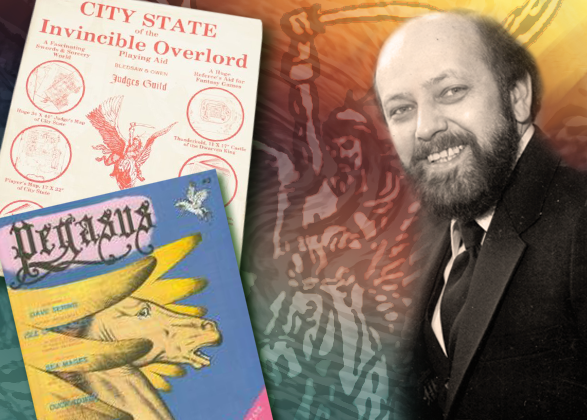 On this 76th anniversary of the birth of Bob Bledsaw Sr., we offer this homage, first written several years ago by his good friend and colleague Bill Owen, the co-founder of Judges Guild. And finish with a look at the incredible Judge Evie!